Shaurya Rana was last seen on February 4th, 2019 near the 8700 block of 160th street. Shaurya is described as an South Asian male, 5’9 in height, medium built, with brown eyes and black hair. 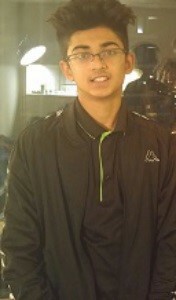 Shaurya wears glasses and often wears black track suits. Police and family are concerned for Shaurya’s well-being as it is unusual for him to stay out of contact for this long.